In quest of Social Intelligence to reach the right people; looking for insights to help you create better content; want to learn how to win new business and impress clients? With Simply Measured, you can do all of these. It is a social media analytics platform that simplifies end-to-end analysis of all social network activities of its users, whether it’s paid, owned, or earned. 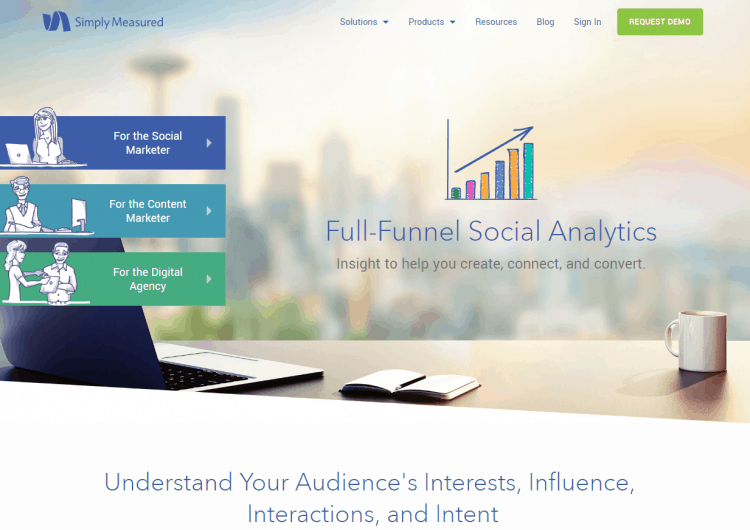 Simply Measured is one of the comprehensive social tools offering insights beyond basics provided by other tools. Insights are derived from the all the information collected and then sent in exact formats set by its users, whether that’s on the web, in dynamic Excel reports, or in PowerPoint. Information is accurate and the tool provides utmost flexibility for the ways you use it.